A secondary objective was to provide a scientific method to support any claims of environmental improvement of products. Although not an initial objective of this effort, it was later realized that the methodology also provides a rigorous means to communicate environmental performance to suppliers (Levi Strauss & Co.). 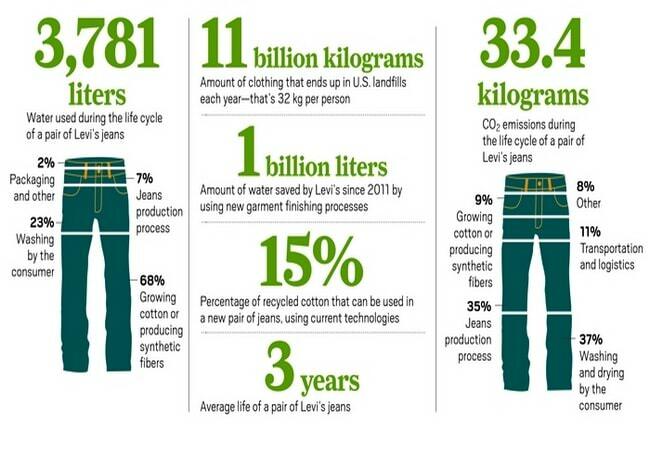 Based on these studies, Levi Strauss & Co. has later launched the Water<Less and Waste<Less collections. Yarn production (including spinning and warping). Cutting and sewing (garment manufacturing). Garment washing/finishing (including the production and use of chemicals, auxiliaries, enzymes, etc. ).